Brittney Griner of the WNBA’s Phoenix Mercury has been arrested on charges of assault and disorderly conduct, according to multiple local reports. Griner and her fiancée, WNBA player Glory Johnson, were arrested after the two got in a fight at their home in the Phoenix area, according to ESPN. 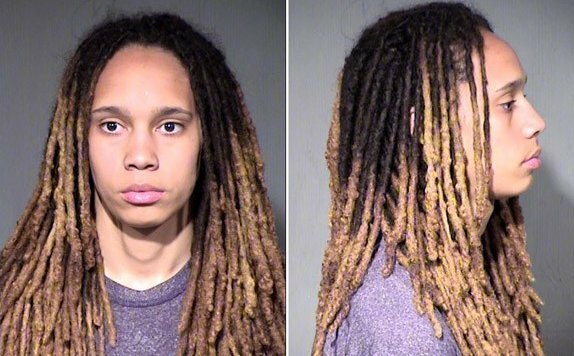 A mugshot of Griner appeared on the Maricopa County Sheriff's Office's website early Thursday, according to CBS5AZ.com. Griner made headlines when she came out as openly gay ahead of the 2013 WNBA draft, where she was selected first overall. Since then, Griner has talked at length about being the victim of bullying throughout her life, and how it made her into the woman she is today. "People called me a dude and said there was no way I could be a woman," she once wrote in The New York Times. "Some even wanted me to prove it to them."